It’s been a couple of weeks since the last mailbag, but things have been pretty busy this offseason. Today, there are two specific questions about two specific prospects. Question #1 – How is @adbert29 rehab coming? When will he be back? Where do you think he starts his season? Could he see time with the big league club next year? Possibly in bullpen? 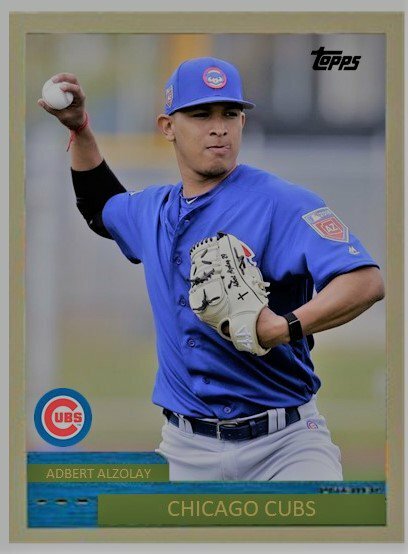 More than likely, Alzolay should be at AAA Iowa to begin the year but I would not be surprised to see him get a shot of Chicago early in the year, if needed. The Cubs probably would like to use him as a starter considering he can throw in the mid to upper 90s. But if the Cubs need him for the bullpen, he’s more than able to take on that role. In the long run, it might be better for Alzolay, who will be 24, to break in as a bullpen arm and work his way up to starter by 2020. Considering that the Cubs are going want him for September and October, his arm is going to need to adjust to that long of a season. Most minor league guys are done on Labor Day unless they make the playoffs. Whatever his role is, Alzolay is going to have adjust to the MLB life and a bullpen role would be best to break him slowly. 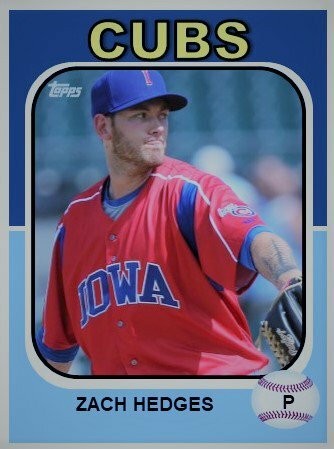 As the highest ranked pitching prospect in the system at AAA, his time in the minors is surely limited starting in April. 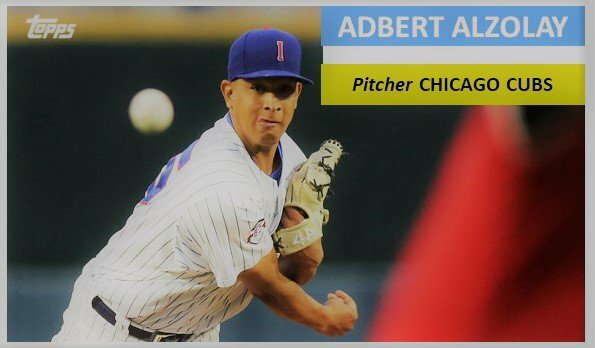 Come tomorrow, I will have a full fledged profile of Adbert over at BP Wrigleyville, my final post for them. I really like Zach. He’s a nice kid with a good head on his shoulders and a great work ethic. As for his future, he simply just needs to succeed at AAA. He can’t seem to get over that hump the past two seasons. Whether he was a starter, or a reliever, Hedges dominated at AA and struggled mightily in AAA. It’s been frustrating to watch him hit that literal wall. Zach’s best pitch has always been his slider. I’ve often thought that if he added a cutter he might have a better shot of getting over that AAA hump. Coming out of the bullpen might require Hedges to adjust his arsenal a bit. Some pitchers sometimes go to two pitches. Hedges might require some trial and error before he gets it right. Then again, Mr. Hedges is down in Puerto Rico this winter getting some work in. Heading into last night, he’s started five of his six appearances. In 24.2 IP, he had a 1.59 ERA with 20 Ks and just 8 BBs. It should be interesting to see what role he has as a Cub next spring. Here are some other things coming up on Cubs Central over the next couple of weeks. The 5 Series and Position Breakdown Series will continue with articles coming out on Jimmy Herron and Brailyn Marquez, and SS and OF. The 5 Series will be out on Mondays for the next two weeks because of the holidays. The Position Series continues on its normal Friday run. This Sunday, I come back with a Christmas Wish List. At some point, I will publish the “Cards of the Off-Season” and the Convention is just a month away! I don’t know what my attendance status for the convention will be for another week.